The Tate announced it has gone digital this week and teamed up with Apple's iTunes U store. The spin-off Apple store, which allows educational institutions to post podcasts and the like, has been a hit with universities since its launch in 2007. Now museums/galleries are getting in on the act too. The Tate has broken down its podcasts into three sections. The first section, titled 'Talk & Discussions', features art historians, celebrities and artists talking about Tate exhibits. The second, 'Courses. Workshops & Study Days', is more educational. Here you will find tutoring centred round historic, modern and contemporary British art. The third and so-far final section is the 'Tate Symposia'. This section houses discussions relating to research and exhibitions. 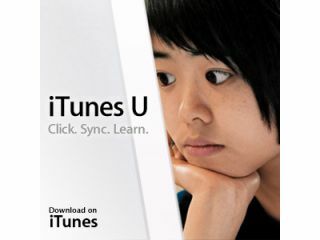 Will Gompertz, Director of Tate Media, said about the link-up: "Tate is delighted to come on board with iTunes U. "In the world of new media nothing can be achieved alone; by working with exceptional companies such as Apple we can use the internet to help fulfil Tate's mission to make art available to all."